Let’s start with Jean Beausejour and Chris McCann. Bend it like Beausejour – first published October 9, 2012. Some say he looks a little pudgy. Others complain he doesn’t have the speed to take on defenders. That Birmingham would not have let him go if he were that good. Something of an international journeyman, he has played for ten clubs in a space of ten years, spanning six different countries. Why then did Roberto Martinez continue to pursue Jean Beausejour, following the 2010 World Cup, until finally signing him in January 2012? After just 15 minutes had gone at Sunderland last Saturday, a sublime cross came over from the left wing that Arouna Kone should have buried to put Latics 1-0 in front. It was the kind of precision pass that David Beckham might have provided in his heyday, curling away from the goalkeeper with pinpoint accuracy. Pure artistry. Neither player is the type to run down the wing and beat a defender for speed. But both somehow are able to get in pinpoint crosses from the tightest of situations, an ability that few players possess. 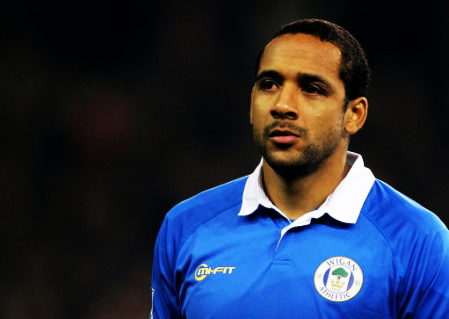 Although Beausejour only joined Latics in January, he led the squad for assists last season. Let’s not forget his defensive qualities either. Forming a strong partnership with Maynor Figueroa on the left hand side of the defence he provides key defensive cover. Ask Theo Walcott what it is like having Beausejour trail you – the Chilean rendered him totally ineffective in the memorable 2-1 win at the Emirates Stadium in April. Beausejour is not elegant, but is a complete player, the classic wing back – able to defend and create goals. Jean André Emanuel Beausejour Coliqueo was born in Santiago in June 1984, of a Haitian father and mother from the indigenous Mapuche ethnic group. Beausejour remains a hero with the downtrodden Mapuche people. He started his professional career playing for leading Chilean club, Universidad Católica in 2002 before moving to provincial Concepción where he played for a year. Within the following three years he’d serve stints at Servette of Geneva, Grêmio of Porto Alegre, Brazil, and Gent of Belgium. After returning to Chile for a couple of years he spent the 2009-2010 year playing for Club America, Mexico City’s biggest club. Beausejour has made 40 plus appearances for Chile, playing under flamboyant Argentinian coach Marcelo Bielsa for almost three years. Not only did he score the winning goal against Honduras that helped Chile to qualify for the knockout stages of the 2010 World Cup, but he was to play in a classic Bielsa system that had three central defenders and two wing backs. In November 2011, he and four other players were suspendedby Chile FA for 10 matches after arriving in “poor physical” condition, allegedly drunk, before a World Cup qualifying match against Uruguay. Given Beausejour’s career record of lack of continuity at any one particular club and his suspension from the Chilean national team it was therefore a calculated gamble taken by Roberto Martinez to bring him to Wigan from Birmingham City. However, Beausejour has become a key player in the tactical system adopted by Roberto Martinez. His start to the current season has been marred by a niggling injury but he remains one of the players whose name would be penciled in first on the team sheet. He is 5 ft 11 inches tall and physically strong, not easily deterred. Jean Beausejour has certainly settled into the Wigan Athletic lineup. A team player, he is solid in defence. When Latics have the ball he is always available, hugging the touchline, stretching the opposition defence. He rarely loses the ball and has a few tricks up his sleeve with quick footwork. His crosses can create havoc in even the best of defences, whether from open play or set pieces. Given his technique one might expect him to more often take direct shots on goal, especially from free kicks. He has proved an excellent signing up to this point and one hopes that his years of wanderlust are over. At 28 years old he is nearing the peak of his career. The best is yet to come, especially if he is encouraged to go for goal from free kicks. When managers change clubs they often take with them players from their previous club. Roberto Martinez is a prime example in taking Antolin Alcaraz, Arouna Kone, James McCarthy and Joel Robles from Wigan. It was therefore no surprise when Owen Coyle’s first signing was one of his former players. Most Wigan Athletic fans would have expected it to be someone from Bolton, but it turned out to be a tall Irishman who had played under the Scot at Burnley. 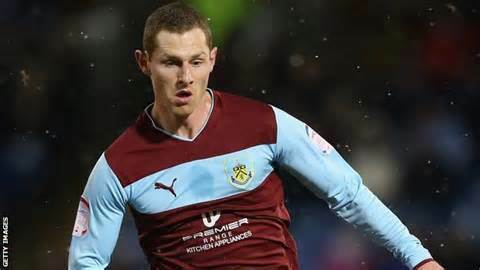 Not many of us had heard much about Chris McCann, who had spent nine years at Burnley after being signed from Dublin club, Home Farm. When we found out more about him, it looked as if maybe Coyle had made a mistake. McCann’s best season with them was in their promotion year, 2008-09. A cruciate knee injury early in his first Premier League season proved a severe blow for McCann. He made only eight appearances that season and four in 2010-11, being plagued by injury. However, the Irishman was to come back to start in 83 Championship matches over the next two seasons. Owen Coyle had taken over a fragmented squad at Wigan following Martinez’s departure. There was shortage of players in various positions, particularly the centre of defence and up front. But central midfield was the one area where Latics were well supplied – with James McArthur, Roger Espinoza, Fraser Fyvie, Jordi Gomez and Ben Watson – plus James McCarthy, who was to be sold. McCann’s performances in his early starts for Latics at home to Doncaster and Middlesbrough and at Zulte Waregem were solid, if uninspiring. Cynics said that Coyle had brought in an ex-player who was not up to par, but who was ahead of both Espinoza and Fyvie in the pecking order. It looked like Coyle was snubbing players from the previous regime to bring in his own men. However, McCann was to come back to the starting lineup with a fine display against Rubin Kazan. That night he was tireless in defence and his cultured passing when under pressure helped Latics keep possession. He followed that up with a fine performance at Charlton, being unlucky with a flick header that hit the crossbar. In the subsequent match against QPR he once again put in a hardworking stint, being denied by the woodwork with a far post header. On Sunday against Huddersfield he once again put in solid defensive shift and this time saw a fine long range shot palmed over the bar by the keeper. Coyle has so far relied heavily on McArthur and Watson in the midfield holding roles. They bring Premier League quality to the Championship. Both have excellent technique and work tirelessly to win the ball back and support their defence. However, McCann has already shown that he too is a player of such attributes and will be challenging them for a place in the starting lineup. He too has a touch of quality. At 6’1” he also poses an aerial threat to opposition defences. Chris McCann has already silenced most of his critics through a series of good displays. He is still only 26 years old and could prove to be a key player for Latics for years to come. Given that we now have a wider readership than in our earlier days we plan to occasionally republish articles from our archives, that many may not have seen. We ask our long-established readers will bear with us on this. We will continue to put out our stream of current articles. Click here for our previous fan views on Martyn Waghorn and Thomas Rogne. Click here for our previous fan views on Uwe Rösler and Marc-Antoine Fortune. Click here for our previous fan views on Stephen Crainey and Markus Holgerrson. Click here for our previous fan views on Josh McEachran and Jack Collison. A Celtic fan’s view of Shaun Maloney. Written by: David Harper of Celtic fan site Lost Bhoys. Howdy Wiganites, sorry I have no idea what you call someone from Wigan please excuse my ignorance. Ned asked me to put together a small piece about former Bhoy and new Latic Shaun Maloney. Iʼm a regular blogger and editor on http://www.LostBhoys.com and co-host of the weekly HomeBhoys Celtic fans phone-in show. I started following Celtic home and away from the age of 14 in 1987 so Iʼm pretty well placed to give you a brief rundown on the last of the Seville team to leave Celtic (management team excluded). Shaun broke into the 1st team in 2001 and if I recall correctly he made his debut at Ibrox against ʻthemʼ. Originally he was deployed as an out and out striker and for the next couple of seasons mostly made appearances from the substitutes bench. It wasnʼt until Gordon Strachan took over the reigns that Shaun found his best position as an attacking left-midﬁelder which is still his natural position to this day. Thatʼs when heʼs ﬁt of course and those occasions have been few and far between in his second spell at the club. Heʼs a player that has divided fans ever since his return up north from Aston Villa. Many many fans myself included didnʼt think Maloney should be afforded a return to Celtic after the way we felt he had let us done badly when he left for Villa Park. Shaun had suffered a serious cruciate ligament injury and despite the fact nobody was sure if he would return the same player Gordon Strachan fought to get the board to offer him a new contract. Celtic were very good to Shaun in this time and when he came back from injury he had his best spell winning both Scottish footballs player and young player of the year. The disharmony came to be when Shaun played hardball over a new contract and eventually left under a cloud for Martin OʼNeillʼs Villains. Personally I think Maloney was due us a bit more loyalty considering we had taken a chance on him while injured and this was the reason many eyebrows were raised upon his ʻgloriousʼ return. His second spell has been a disaster for the player and a quick check shows he only played 55 games in the last 3 years. Maloney is constantly injured. Iʼll be absolutely astonished if he plays 20 games this season. Actually whenever I hear his name David Bowie singing China Doll creeps into my head. It would seem his hamstring is made of glass. On his game heʼs a fantastic player who loves to drift in from the left onto his right foot and has a good eye for goal. He certainly isnʼt an out and out winger and isnʼt the kind of guy who will hit the byeline but rather step inside and play neat one-twoʼs around the box. Heʼs often been described as a buzzbomb as he is very busy but heʼs lost a bit of the pace he had when he was younger. Heʼs by no means a slouch though. Ned asked me if heʼs the kind of guy that will get stuck in. Flying into tackles no but heʼll certainly track back and has a good engine to get up and down the ﬂank. I would say one of his biggest assets is heʼs a very intelligent player and reads the game extremely well. There is no doubt in my mind if he can stay ﬁt and if this is the position Wigan are looking to ﬁll heʼll be a great signing but again I canʼt stress enough his ﬁtness is a major problem. There is also a myth surrounding him being a dead ball specialist. In his ﬁrst spell he was quite proliﬁc with free-kicks but this ability seems to have alluded him on his return. Frustratingly his seniority in the team (was stand in captain for a period) often seen him push better candidates to the side before he sailed one harmlessly over the bar. Most notably when Nakamura was in the side who was a real free-kick expert. You may think reading this that Iʼm being overly harsh and my opinion has been tainted from my disdain at him letting us down. Believe me itʼs not Iʼm being as honest as I can. I think youʼll ﬁnd most fans have actually forgiven him his sins but at the same time everyone knew it was time for him to move on. Money is tight in the Scottish game and Maloney being one of the larger earners at the club who spent the majority of his time in the physio room was a pay packet that could be better utilised. In saying that heʼs ﬁt and raring to go at the minute so weʼll see how he goes. Iʼm not sorry to see Shaun go but I wish him the very best of luck in the rest of his career. Heʼs a pretty laid back guy with no billy big boots airs or graces about him and I pray he can get a real run of games under his belt for you. Iʼll watch his career now from afar with interest. I hope this has been a decent insight into what you have bought and hope I havenʼt panicked you too much with the injury woeʼs. If anyone would like any further info I can be contacted at LostBhoys@gmail.com. Iʼd like to wish Wigan and Maloney all the best for the season ahead, most sincerely. Chris McCann had been a one-club man since he arrived at Turf Moor from his native Ireland in 2004 from Home Farm. Clarets fans had seen him develop into an exciting midfielder but in recent seasons he just doesn’t seem to have been firing on all cylinders and there are a number of theories as to why. There is no doubt that McCann’s best season was in our promotion season to the top flight during 2008-9 and of course new Wigan boss, Owen Coyle was Burnley manager at the time so it could be argued he brought the best out of him. McCann seemed to relish playing under Coyle and the ‘old magic’ might return now he as at Wigan under his former gaffer. It was a disastrous season for McCann in the Premier League though. an unfortunate knee injury and subsequent surgery to his cruciate following the game against Sunderland at Turf Moor in September 2009 sidelined the midfielder until December 2009 In his second match back from injury, he picked up a second injury that ruled him out for the rest of the season! Following Burnley’s relegation from the Premier League the injury woes continued for McCann although he returned and played in three pre-season friendlies, in the first game of Burnley’s tour of Singapore he was taken of with yet another knee injury. He was sent to see a specialist and faced another long lay-off. Clarets fans wondered whether the injuries had some sort of psychological effect on McCann because he never seemed to reach the dizzy heights achieved under Coyle again following his return. He didn’t seem to be going into the tackle as much perhaps conscious of his knee problems and he was certainly not as influential on the game. Eddie Howe bizarrely made him captain too for the 2011-12 season, some thought to keep him at Turf Moor and it was a total failure. The responsibility seemed to affect his game even more and most fans felt he was not skipper material generally being too quiet and ineffective. Stripped of the responsibility after Jason Shackell became captain, last season was probably McCann’s best for sometime but again he blew hot and cold and his heart did not seem to be in it! He was no doubt thinking about his next career move and he was not even prepared to consider a new contract this summer. In summary if Coyle can get the best out of McCann like he did during his time at Turf Moor, you will be getting a very strong and effective attacking midfielder who will also score quite a few goals for you during a season. It might be the new lease of life, McCann needs to get his career back on track and all Clarets fans I am sure will wish him well. As the Owen Coyle revolution continues with arrivals from near and far, we thought we’d re-visit a special feature approach and ask more informed writers about who exactly the club is signing. 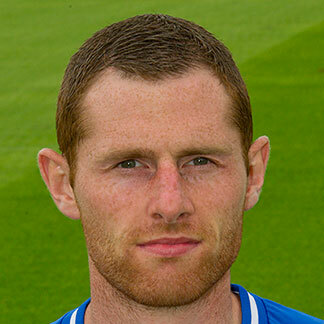 Twenty-five year-old Irish midfielder Chris McCann was Coyle’s first signing as Wigan Athletic manager. Here’s a link back to our reaction. But in an effort to gain a more enlightened take on his eight year stay at Turf Moor and the circumstances under which he is joining our club, we reached out to the editors of the fine supporter website, Vital Burnley. Like Los Three Amigos Wigan on Facebook, or follow them on twitter here.